Karen completed her PhD at the University of Exeter in April 2016. Her thesis was entitled Somatic Memory: Trauma and the (Eucharistic) Body. This research explored traditional Christian narratives surrounding the Eucharist through the lens of trauma theory. Considering the celebration of the Eucharist to be the place where bodies and memories meet in the Christian tradition, she put forward an understanding of the Eucharist that began at the Annunciation-Incarnation event, rather than at the cross. She continues her research in trauma with a project working with military chaplains on liturgy produced in the context of the trauma of the battlefield. Karen has also published work on the Virgin Mary in both art and music. 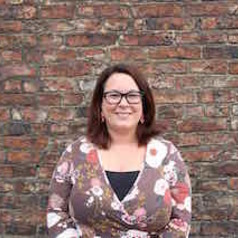 At Durham's CODEC Research Centre for Digital Theology she is working in collaboration with the Common Awards team in researching the intersections and relationships between the digital world and theological learning. Her work is focused on the concepts of embodiment and disembodiment in digital engagement and exploring the theology of incarnation in the digital world.